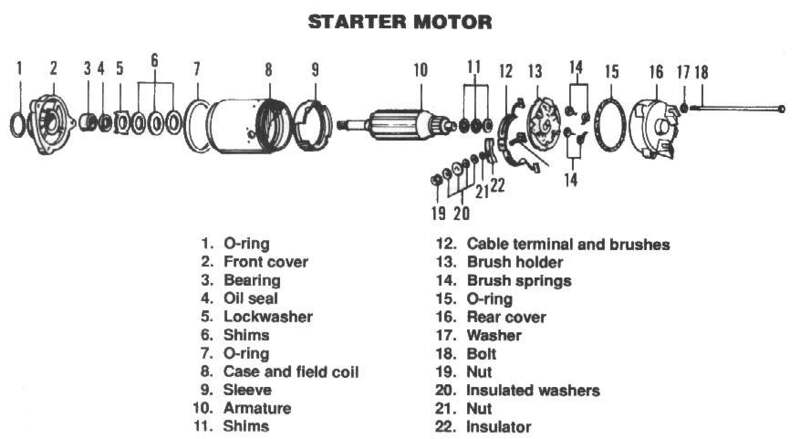 ¶ Here are some exploded views of different motorcycle Starters for you to study. I will try to add more as time allows. Harley Davidson FL "Prestolite" Starter.